Photos equals to memories, so we value it a lot. With application like Photojoy, you can enjoy your photos by turning it into Collages, Screensavers or Widgets. 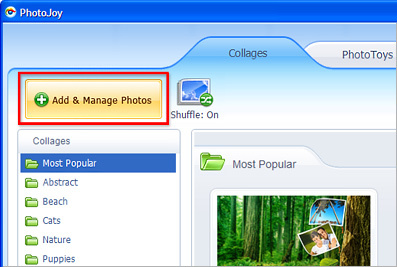 After you download and install the application, just select the photo folders to add to the gallery. You can either convert your pictures into a number of PhotoToys (desktop widgets that show off your photos in various ways) or you can make a collage of photos on your desktop, and lastly you can choose from one of the screensavers to show off your photos while you PC is on idle. Aside from selecting your pictures from a local folder on your computer, you can also add photos from Flickr.